Today GoLite is the world's leading manufacturer of lite-weight outdoor clothing and equipment, driving product innovation in a wide range of outdoor sports. But GoLite is far more than a collection of products. It is a mindset, a mission, a directive, an ideal that infuses every design, concept and idea. It is as much a philosophy as it is a commandment to do much more with much less. GoLite is about freedom. About being unburdened by the mundane, the over-engineered, or the obsolete. It is about being connected to nature in the purest way. And about going lite on the trail, on the planet, and in one's life. GoLite continues to produce some of the best lightweight backpacks, tents, and shelters in the market. 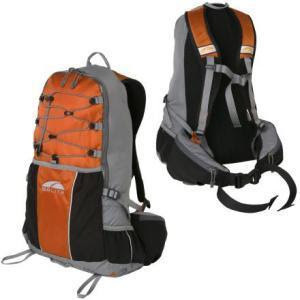 GoLite understands that most backpackers lugging heavy packs take steps to save pack weight. Some cut off half a toothbrush handle, trim map corners, and repackage food into the lightest plastic bags -- all somewhat helpful over the long haul. But true weight savings starts with the heaviest items -- notably your backpack, sleeping bag, and shelter -- which should be pared down to their minimum weight without compromising function. GoLite's ultra-lite, ultra-strong, high capacity mountain packs represents this philosophy in action.